At the law offices of Bishop & Reidy, P.C., in Quincy, Massachusetts, our attorneys have more than 65 years of combined experience providing compassionate, professional and accessible legal representation to both individuals and families. Our law firm maintains a particular focus on family law, guiding clients through even the most complex and challenging cases. From prenuptial agreements, paternity and divorce to child custody, marital property division and child support, we have the skill and understanding to defend your parental rights and financial interests. In addition to family law matters, attorneys Paul Bishop and John Reidy handle personal injury, construction law and contract litigation. When you come to us, we will take the time to listen and understand your legal concerns. Then, drawing on our extensive experience, we will assist you in developing a tailored legal strategy for solving your problems and meeting your needs. Whether at the negotiating table or at trial, you can count on our law firm to stand up for you and tenaciously pursue the best possible resolution. Finally, you can feel confident that we will walk with you every step of the way, offering honest counsel and responsive personal service. We never forget that your and your family’s futures are on the line. Our law firm is located just off major highways and is easily accessible via public transportation. We are proud to serve clients in Quincy, Braintree, South Shore, Dover, Wellesley, Hingham, Westwood, Norwell, Norfolk County, Suffolk County, Plymouth County and throughout the surrounding areas of Massachusetts. We offer free, in-office consultations on a case-by-case basis. To schedule a consultation, simply call Bishop & Reidy, P.C., at 617-934-5039 or toll free at 888-812-2610. Credit cards are accepted. At our firm, we handle all types of Massachusetts divorces, including contested, uncontested and no-fault divorce. We can help you with every aspect of your divorce. Premarital asset protection is one of the most important things you can do for your children and family if you are heading into a second marriage. Laws about spousal support, often still called alimony, are very specific in the Commonwealth of Massachusetts. 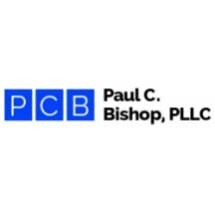 Bishop & Reidy, P.C., can help you with all of your divorce settlement and child custody modification needs. Our attorneys work hard to make sure family law judges recognize your changing circumstances. The Boston divorce and child custody law firm of Bishop & Reidy, P.C., keeps your child's needs first in divorce settlements.